We've released an update for RubyEncoder that fixes issues with running files encoded for Ruby 2.2. If you are getting an error like this when running files encoded for Ruby 2.2, please download and install an updated version of the encoder from the user profile. Re-encode your files. ruby: compile.c:2424: compile_array_keyword_arg: Assertion `i == len' failed. 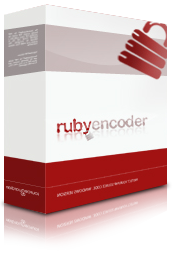 We are proud to present RubyEncoder 2.2 - now with full support of Ruby 2.1 and 2.2. Encoding for Ruby 2.1 and Ruby 2.2 with full support of the new language features! Advanced locking for encoded files including locking to a license file, IP, domain, MAC-address and expiry date for the scripts.